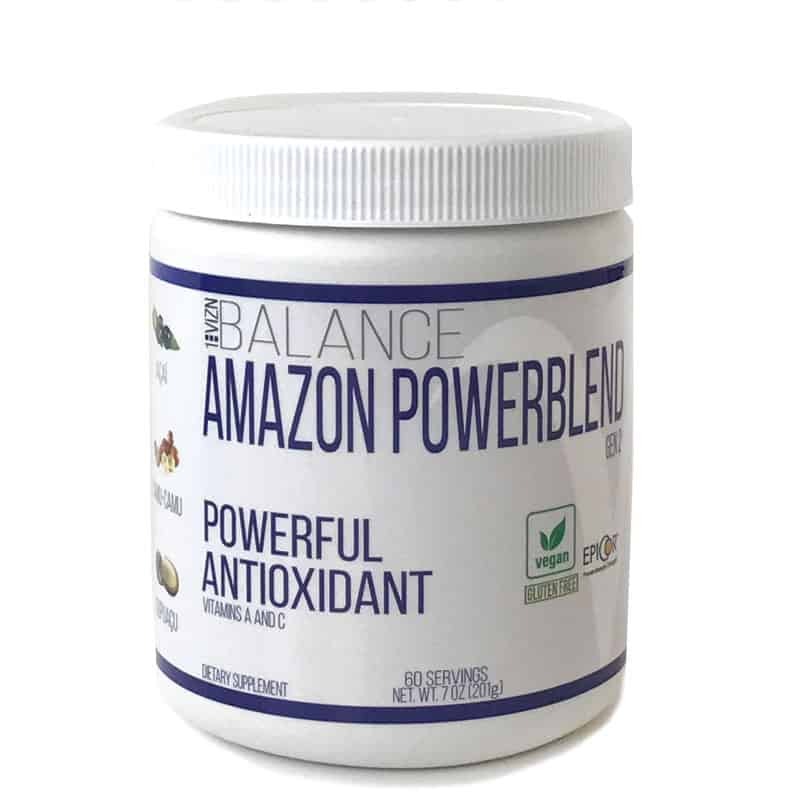 The Amazon PowerBlend combines some of the world’s most authentic and antioxidant-packed super fruits to create one of the most nutritious health products on the market today. Our main super fruits, Acai, Cupuacu, and Camu-Camu, come straight from the Amazon rainforest and are blended with the most potent ingredients through a process that maintains more nutrients than any other process to date. * Helps combat oxidative stress caused by environmental toxins and pollutants, including those found in our water and food supply. To Use: Take one scoop of PowerBlend twice daily. Pour directly into mouth or mix with 6oz of water, your favorite juice, protein, or yogurt. 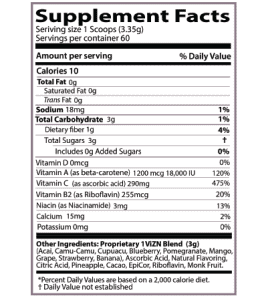 Ingredients: (Acai, Camu-Camu, Cupuacu, Blueberry, Pomegranate, Mango, Grape, Strawberry, Banana), Ascorbic Acid, Natural Flavoring, Citric Acid, Pineapple, Cacao, EpiCor, Riboflavin, Monk Fruit.